13 April 2014: As with the other of the first wave of elected mayoralties in England, backwater boroughs like Lewisham in London were not the kind of large cities the Blair government had in mind when it introduced the reforms in 2000. However, Lewisham’s first elected mayor Sir Steve Bullock has played a leading role in the Southeast London council’s civic life for a quarter of a century and enjoys the one of the highest national profiles of England’s relatively small number of elected mayors. Steve Bullock was re-elected for a fourth term on 22 May 2014. Steve Bullock was born in 1954, not in London but the coastal town of Redcar on Teesside in the North East of England. Bullock began his career in local government in 1972 with the neighbouring Saltburn and Marske Urban District Council, working as a van driver. He later moved to the capital and took up employment with the Greater London Council, working under GLC Leader Ken Livingstone as policy adviser (he helped devise the popular Fare’s Fair policy which was later challenged in the High Court). After the GLC’s abolition in 1986 he became Chief Executive of the Greenwich Community Health Council and lastly as Head of the Labour Group Office at the Local Government Association (during the association’s period of Labour leadership). Bullock’s public service career began in 1982 with his election to the council of the London Borough of Lewisham, at the time led by a left-wing administration during the era of considerable conflict between central and local government, typified by the council defiantly attempting to set an illegal rate. Bullock steadily worked his way up its civic ladder, becoming Chair of Finance and Deputy Leader before taking the council leadership in 1988. 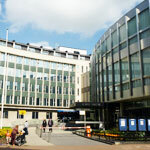 During this period the council featured on a BBC television fly-on-the-wall documentary showing the council’s inner workings and struggle to provide services against centrally-imposed budget restraints. Bullock spent five years as leader before standing down in 1993 and from the council altogether in 1998. During this time (1993-1995) he served on the Commission for Local Democracy, an influential think tank which was successful in getting elected mayors on the agenda for the reform of local government by the incoming Labour government in 1997. He was also instrumental in establishing the New Local Government Network in 1998, the leading campaign and think tank in favour of elected mayors and modernisation in local government. 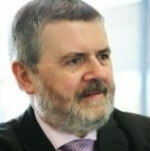 After leaving the council in the late 1990s, Bullock became Head of the Labour Group Office at the Local Government Association (formed in 1997), an important time for the body given the new Labour government and Labour’s pole position among the ranks of local government. He also took up the post of chairman of the local hospital trust, a central government appointment, which he held until becoming mayor. During Bullock’s time off the council, the new Labour council leadership pushed ahead with a range of radical reforms to local governance and service provision, which ultimately proved divisive locally, one of which was to seek to become one of the country’s first councils to have an elected mayor. The idea of having an elected mayor, though popular among the council Labour Group, was not favoured by most of the local Labour Party and having assessed his political career at the time, Bullock sought the Labour nomination against the council leadership incumbent, proving ultimately successful in the selection battle (though having supported the idea of having an elected mayor himself, his candidature was championed and resourced by the anti-mayor camp). He was elected in 2002 and again in 2006, though Labour lost control of the council chamber that year for the first time in 25 years. On becoming mayor, Bullock championed his inclusive approach to governance and sought to appoint a cabinet that might heal divisions within the local Labour Party following the divisive referendum campaign which preceded his election. During his time as mayor, he has pointed to his increased prominence in the borough and the customer service-orientated reforms to the council’s structures, as well as Lewisham being the first mayoral authority to hold elections for a Youth Mayor, an initiative which has led to national acclaim. One of the chief benefits of the mayoral system is said to be that the buck stops with the mayor. However, prior to the 2006 London Borough elections, two local campaigns flared up and sought the Bullock’s removal from office. The issue of a new secondary school for the north of the borough had long been simmering as a bone of contention for local parents and the council’s back-peddling on providing new school places saw the issue return. This was then coupled with the council’s under-estimation of local hostility to the closure of the swimming pool on which the site upon which the long-delayed school was slated to be built on. The net effect was the loss of council seats in the wards affected but the mayor clung on to office regardless. The seeming failure of the local electorate to turf the mayor out, justified or otherwise, saw the creation of the ‘Bring Back Democracy’ campaign, which then sought to abolish the office of elected mayor. 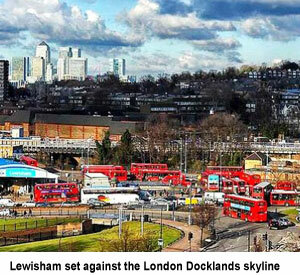 In April 2007, councillors voted 28-24 against holding a new referendum on the issue of Lewisham’s elected mayoralty. Steve Bullock is one of four London Borough elected mayors in the capital, the others being in the east London councils of Hackney, Newham and Tower Hamlets. The remainder of the capital's boroughs are run by council leaders elected from among the council. He replaced Newham mayor Sir Robin Wales as leader of the Association of London Government’s Labour Group in 2006 after Labour lost control of the body following the London Borough elections that year. In 2006 he also became Chair of Local Government Employers (LGE), the labour relations arm of the Local Government Association. Mayor Bullock was knighted in 2007 for services to local government. Having lost its majority on the council in 2006 and coming up for re-election on the same day as the 2010 general election, Bullock might have been forgiven for fearing the worst as a Labour politician. He hasn't been afraid to challenge his party on occasion however, for instance backing the Strangers into Citizens initiative to allow undocumented migrants to earn British citizenship, an idea which was fiercely opposed by the tabloid-minded Labour government. In the May 2010 London Borough elections, held alongside the UK general election, Steve was however re-elected to a third term in office. Following the austerity cuts imposed by the Conservative-led coalition government, left-wing protestors laid siege to a council meeting held to discuss the response to reduced finances in the town hall coffers, which led to riot police being deployed. His leadership of the successful local campaign to prevent downsizing of Lewisham hospital however showed that directly elected local leaders can speak up against central government when the need arises. Despite or, he would say, because of Liverpool’s glorious past, Mayor Joe Anderson never ceases to stress that the best days for the city lie ahead. His optimism won him an election, when in May 2012 he became the city’s first directly elected mayor. Joe Anderson is the type of larger-than-life city leader that the US used to produce in abundance and that still rule in some European cities. Born and bred in Liverpool and speaking with a soft Scouse accent, the mayor’s passion for his city is real and when he explains his hopes and dreams no one doubts his sincerity.